You’re an official insider to The DesignAware Movement! 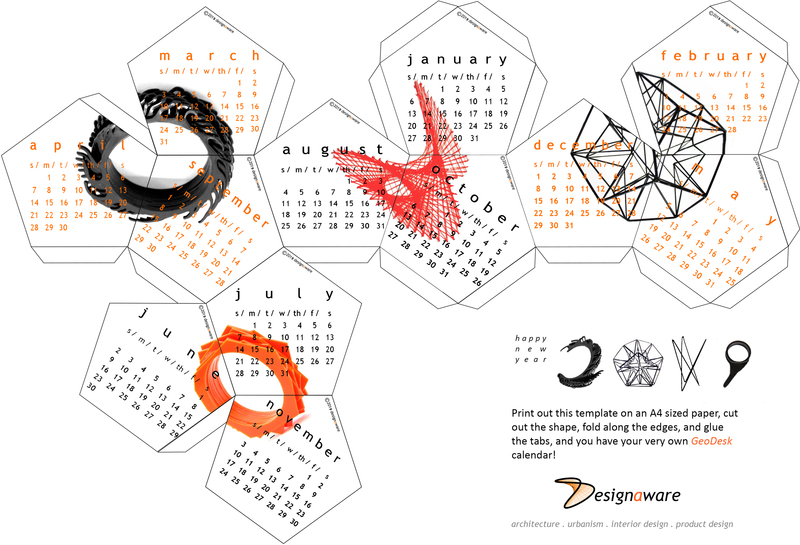 As promised, here’s a downloadable do-it-yourself 3D desk calendar for 2019. The GeoDesk is fun to make, and the perfect desk accessory to begin the new year. Just click here to download the template of the calendar, follow the instructions, and you’ll have your instant desk candy for 2019! You’re one of the very first followers of DesignAware to receive the GeoDesk 2019 and it’s the first of many giveaways you will receive as an insider this year. We truly hope you enjoy it. Do share completed photos on our Facebook and Instagram, we’d love to see the GeoDesk in its new habitat!